A report from the U.S. Congressional Executive Commission on China says despite “low” international media attention, the Chinese government is taking recent unrest in the Tibetan Autonomous Region very seriously. The report, released earlier this week, concluded that the way Chinese security forces responded to protests in Driru County (Biru in Chinese) reflected a strong desire to ensure that such incidents remain isolated. Steve Marshall, senior adviser to the commission and director of its prisoner database program, says the Chinese authorities regard Driru and two neighboring counties Sog and Drachen as hot spots for anti-China activism. “From their point of view, if I can use a metaphor, it is a small fire in a remote place," he said. "But the small fire in the remote place is something that they do not want to spread — for example, to Lhasa, which is a very big, important place." 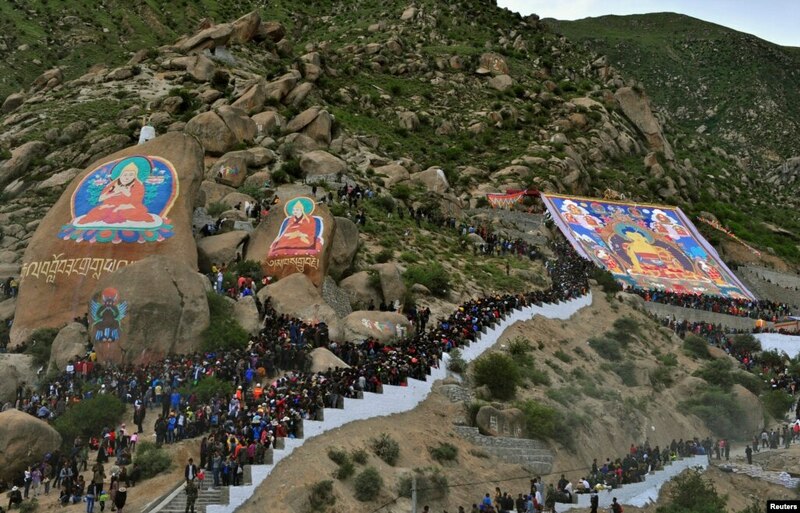 He added that the protests remind the Chinese authorities of the March 2008 demonstrations in Lhasa, in which Tibetans attacked Han Chinese people and property. Driru is an area where at least four Tibetans have self-immolated in the past two years. However, China has never admitted that there have been self-immolations in the county. Marshall says this refusal to admit that self-immolations took place highlights the sensitivity of the situation for the Chinese government. “That to me signifies [an] even higher level of sensitivity [than] when they send in a lot of security [forces], [and make] very, very strict [attempts] to compel the Tibetans to engage in expressions of patriotism towards China, [and] have them all fly Chinese flags on the rooftops." In August, the government in the Tibetan Autonomous Region launched a special patriotic campaign in Driru. The following month, villagers were ordered to fly Chinese national flags from their rooftops. But people in at least two villages reportedly dumped the flags into a river. Since 2009, over 120 Tibetans demanding the return of the Dalai Lama and Tibetan freedom have self-immolated. Most self-immolations took place in Sichuan Province.